Homepage » NIGERIA: “Green walls” to overcome the heat in cities? Researchers at Cardiff University in Wales, Great Britain, have looked at the heat that people in Lagos, Nigeria, seem to live with. 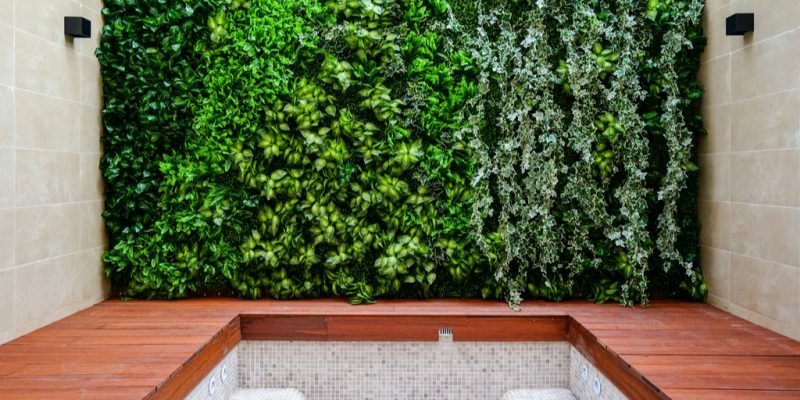 Their research has led to the invention of the "green wall", which could help combat heat and save on electricity bills. Lagos, the economic capital of Nigeria, has more than 20 million inhabitants spread over an area of 1 171 km2, more than twice the population of Togo (some 7.5 million inhabitants in 2015) yet established on a territory of more than 56.7 km2. The high population density of Nigeria’s economic capital certainly causes a serious problem of promiscuity; but not only… In recent years temperatures have risen sharply in this important Nigerian city, exceeding 35°C both in the dry season and in the rainy season. A very uncomfortable situation for people sleeping with fans. This discomfort has attracted the attention of some researchers at Cardiff University in South Wales (Great Britain). A new approach to dealing with rising indoor temperatures is to build “green walls” within homes. The team, composed of architectural experts, has developed environmentally friendly “green wall” construction systems, which have the advantage of bringing both health and economic benefits to low-income families. These are vertical structures covered with plants, often supported by a metal or wood frame that holds the soil or other growing medium. In its study, the team adopted a “responsible innovation approach” in collaboration with the populations of Agege, a large slum in Lagos. “The materials were of local origin and the community was heavily involved in the design, construction and maintenance of the prototypes,” the scientists explained in a statement reported by The Guardian, one of Nigeria’s largest news dailies. These were various green walls, some built of high-density polyethylene (HDPE) and others of ecological bamboo. They were installed outside two residential houses in Lagos. The “green walls” were filled with a range of edible and medicinal plants. Indoor air temperatures, relative humidity and wall surface temperatures were recorded for each room adjacent to the “green walls”, as well as for comparable rooms without “green walls”. The researchers also carried out a complete cost analysis taking into account the purchase of materials, the construction of “green walls” and their maintenance over a number of years. The rising heat is not only affecting Nigerian cities. We can see this phenomenon in cities like Douala in Cameroon or Abidjan in Côte d’Ivoire.